Au revoir July! You have literally been THE dullest month so far this year-no business travel due to the situation in Egypt currently, temperatures as hot as an oven and Ramadan to boot. I have serious cabin fever!! I'm not Muslim so not fasting but lots of people in my office are so out of respect we don't eat or drink on the floor during office hours. But I did use up plenty so lets get cracked on. I finished up both my morning and evening cleansers this month and all deserve a mini review! I was so on the fence about this cleanser at first and worried it was breaking me out-but after persisting with it for a week I actually grew to like it and didn't suffer any breakouts. 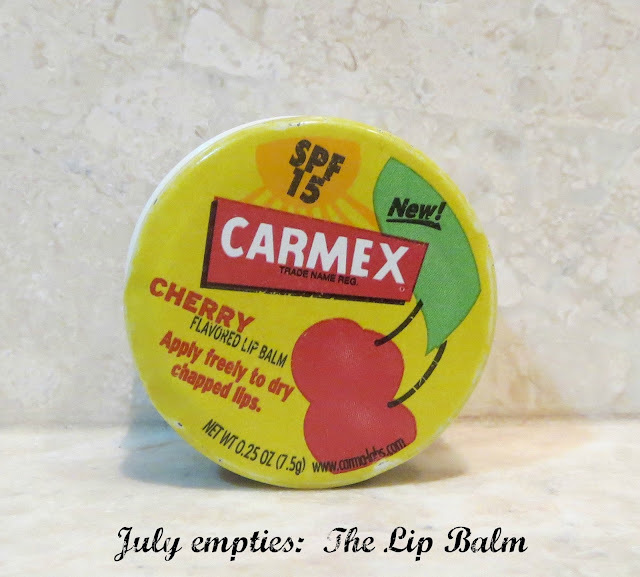 This balm has been reviewed again and again on beauty blogs so I won't go into the ingredients or how to use but here are my two pennies worth. It has a very low meting point so definitely don't leave in a warm place-the low melting point makes it super super easy to spread over your face though. Sometimes this felt lovely but sometimes I felt like I was rubbing butter over my face! 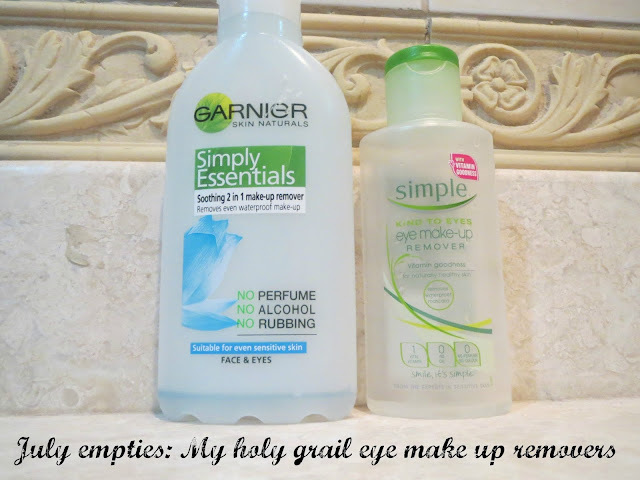 I did find it really really effective at removing every scrap of make up though-even eye make up. 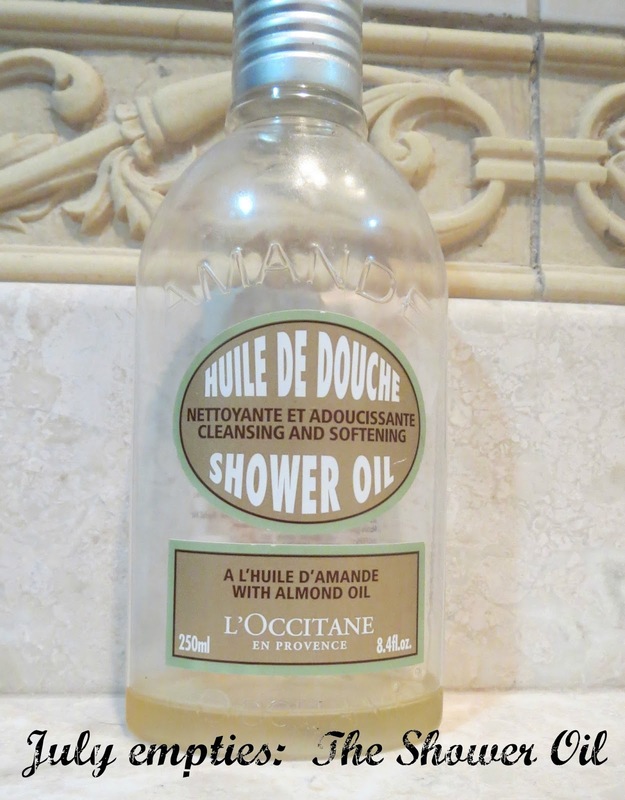 It smells lovely and luxurious but I do recommend removing it with a damp flannel-otherwise I felt like I had residue on my face which would no doubt lead to breakouts. 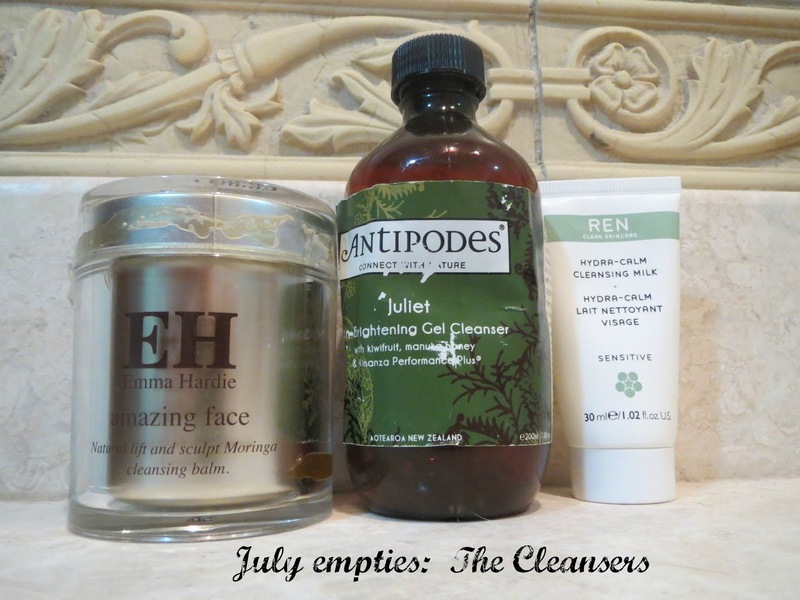 I used this for my second cleanse in the evening even though I didn't think a second cleanse after the Emma Hardie was necessary because it was so effective at removing make-up. This cleansing milk is very thick and almost lumpy in consistency. Designed for sensitive skin, I found it to be cooling and soothing on the skin, suitable for use round the eyes and easy to rinse off. 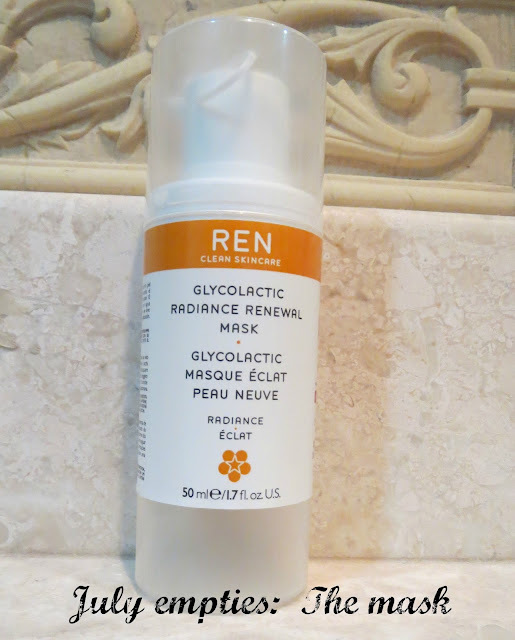 I really like most Ren products but this didn't blow me away. It's a good basic cleanser especially for those with sensitive skin. It does contain Shea butter though so be careful if you suffer from sensitivities to Shea. This was my morning cleanser and the 200ml bottle lasted for-ever. I had been using this low foaming liquid gel cleanser since mid March and at the beginning of July still had a fifth left. Unfortunately one morning in the shower the top just exploded ending it's 4 month reign of my morning shower. The packaging isn't great I don't think-you need some muscles to squeeze the bottle to get the liquid-y gel out. But as a cleanser it's quite nice-it's main ingredients are kiwi for gentle exfoliation, manuka honey for it's antibacterial properties and vinanza to reduce and balance oil production. It is marketed towards normal, combination and oily skin types, promising to brighten your skin. Not sure this was achieved but it was pleasant to use in the morning for hassle free cleansing. 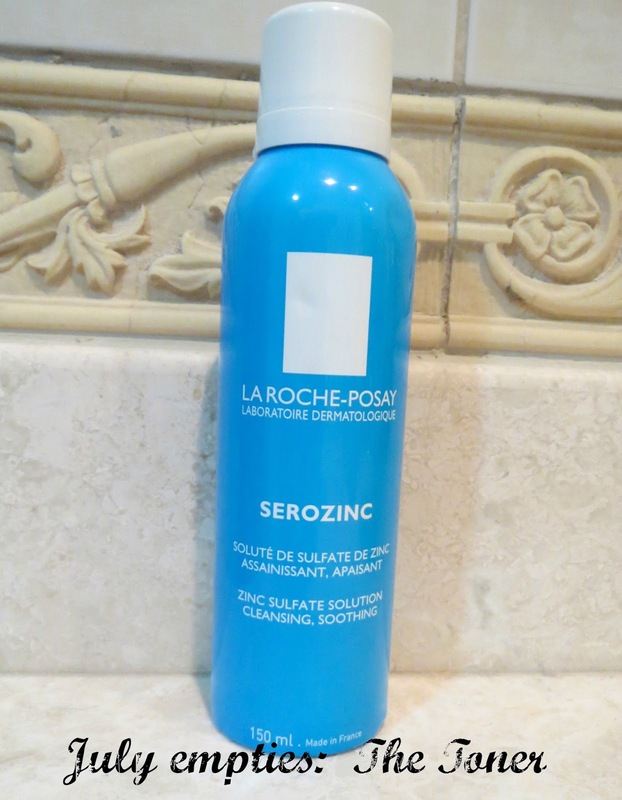 Loved this hydrating toner-you can read my review here. Mum and dad are coming to visit at the end of September so I'll be ordering some to my mums for here to bring over for me! This is a sample size as you can see but I had 3 of them making a total of 15ml which is about the size of a full size one anyway! I have also had in the past the full size version. 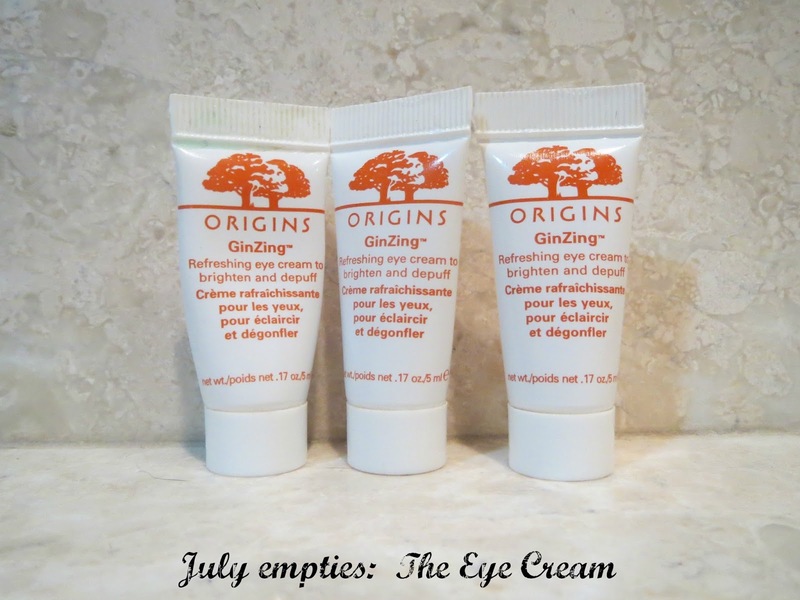 To me this is the perfect morning eye cream for summer-it's a light cream consistency and has an illuminating effect on the skin-think Mac strobe cream but for under your eyes. It certainly brightens in my opinion. It also claims to de-puff but I don't really suffer from puffiness so can't comment on that claim. It contains caffeine from coffee beans, magnolia extract and ginzing. It makes a good base for concealer as the area is smoothed and hydrated after applying. I've recently bought the moisturiser too and am looking forward to using that over the summer. The full size version retails for £21. I would recommend this as an eye cream for younger skin-it's not heavy and therefore isn't massively hydrating or moisturising but I do like it as a morning pick me up in the summer months when I like to use lighter products. Definitely as favourite for me. Another well blogged about product, this mask is designed to renew and revitalise your complexion, improve skin tone and reduce fine lines. I would use this mask as a mid week pick me up-I agree with other bloggers that it is a bit like smearing marmalade on your face! It's a very sticky consistency and it does not set on the skin-you just wash it off after 10 minutes but it's much easier to remove using a damp flannel. Some bloggers have stated their skin tingled but I didn't find mine did at all-however I use glycolic acid on my skin so maybe it is used to it. It has a lovely citrusy smell and I found my skin to be super smooth and plumped after it was removed. I also found it seemed to knock any brewing spots on the head as well. What have I replaced it with? Nothing yet but I will be looking for a hydrating/radiance/plumping mask so any suggestions welcome! What have I replaced it with? Am actually using up a bottle of Bioderma to remove eye make up residue otherwise I will never get rid of it! I actually featured this in my Disappointing Products post but it was an expensive product I wanted to use up. I found the most effective way to use it was as a shaving oil, it did leave the skin lovely and soft. A product I seem to have had for ages and ages. It's very effective but I am not a fan of the cherry menthol smell or taste. Very moisturising and non greasy though. Finally, I delighted to be advertising on the lovely Gemma from Miss Makeup Magpie's amazing blog in August, check her out here.